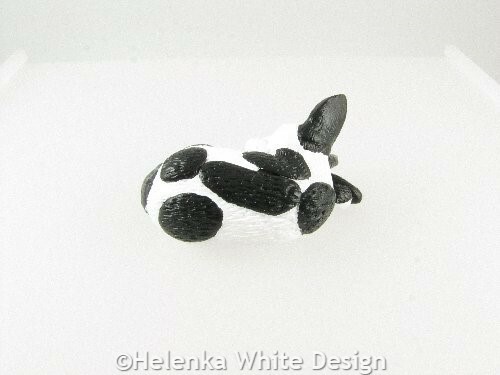 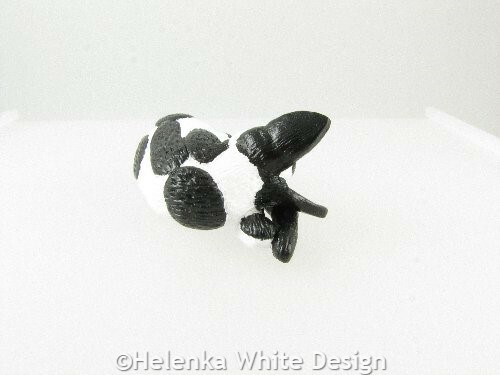 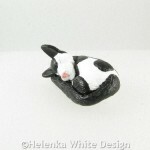 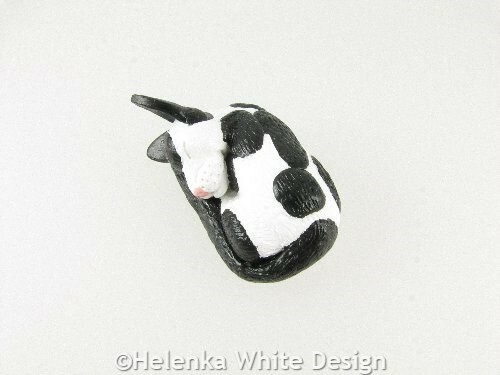 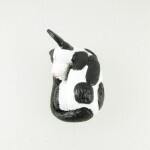 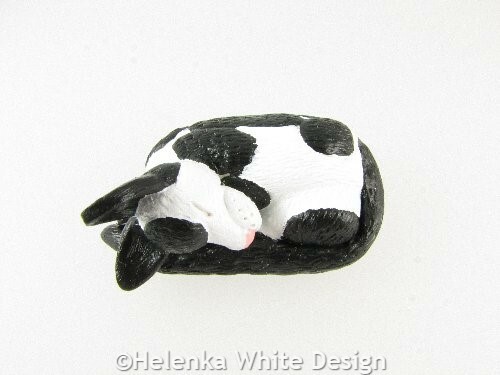 The curled up cat is another one of my favourite cat poses and the inspiration behind this curled up white & black cat sculpture. 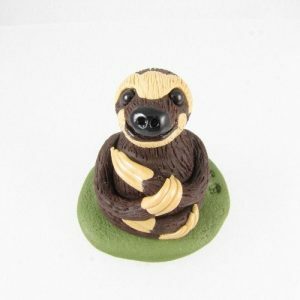 Isn’t it just adorable? 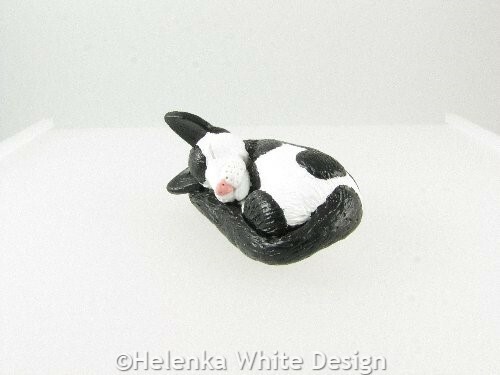 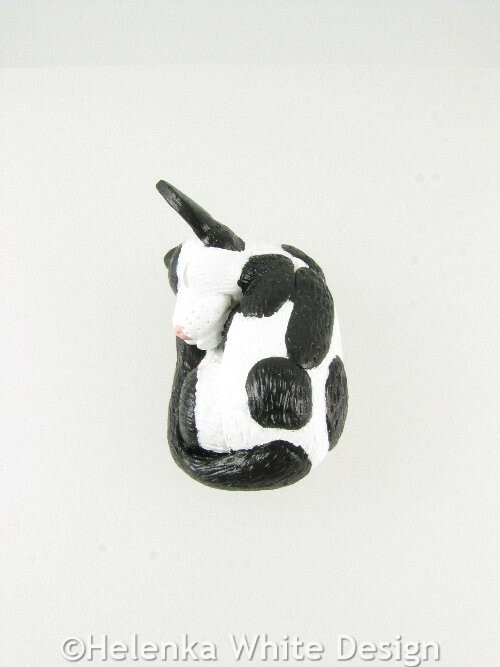 The sculpture is handcrafted with polymer clay in black and white and has been painted with acrylic paint after baking – mainly because the white clay discoloured so I had to paint it, which you can imagine is quite time consuming. 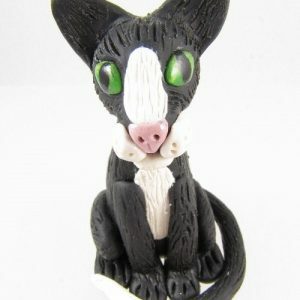 The cat has my signature cane attached to its belly. 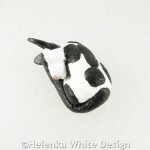 This little cat would make a great gift for the cat lover in your life – or for yourself. 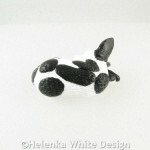 Measurements: The cat is about 6,5 cm long and about 4 cm wide (at its widest point). 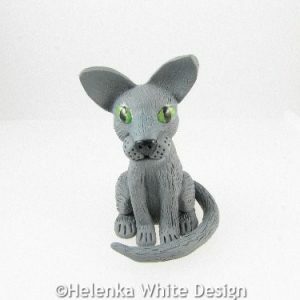 Only one cat sculpture of this kind is available. 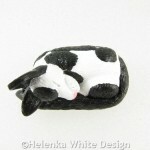 However you can find cats in other colour combinations and poses in the shop.